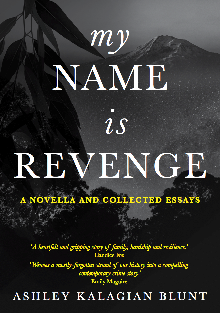 My Name is Revenge deserves to be noticed by those concerned with honesty in history. Ms Kalagian Blunt’s story is a fine example of why history matters and why we should be pushed to reconsider assumptions about how history was and how it might be understood. A heartfelt and gripping story of family, hardship and resilience. On 17 December 1980, at 9:47 am, two men shot the Turkish consul-general to Sydney and his bodyguard near the consul’s home in Vaucluse. The assassins aimed, fired, and vanished. The crime remains unsolved. Drawn from true events including the assassination attempt in Australia, one of a series of international terrorist attacks, My Name is Revenge traces back to the streets of 1920s Berlin and the Armenian genocide of World War I. Three companion essays provide historical context. My Name is Revenge was a finalist in the 2018 Carmel Bird Digital Literary Award. Ashley Kalag ian Blunt is the author of My Name Is Revenge, a finalist in the inaugural Carmel Bird Digital Literary Award. Her writing appears in Griffith Review, Sydney Review of Books, Westerly, the Australian, and more. Her non-fiction work Full of Donkey: Travels in Armenia was shortlisted for the 2018 Impress Prize and the 2017 Kill Your Darlings Unpublished Manuscript Award. She has lived and worked in Canada, Mexico, South Korea and Peru. On the morning of 17 December 1980, two men shot the Turkish consul-general to Sydney and his bodyguard near the consul’s home in Vaucluse. The assassins aimed, fired, and vanished. The crime remains unsolved. 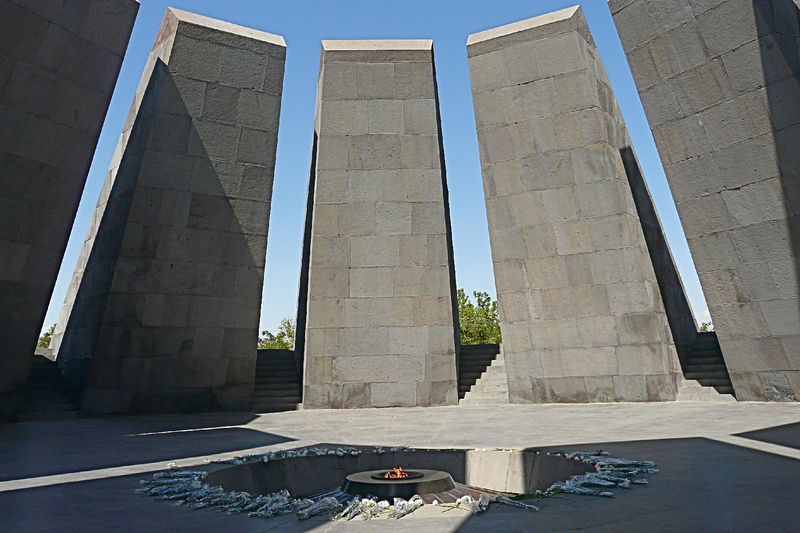 This event was part of a wave of international terrorist attacks that took place in the 1970s and 80s with the aim of bringing attention to the ongoing denial of the Armenian Genocide of World War I. Join Ashley Kalagian Blunt, author of My Name Is Revenge, for an exploration of this crime and the events that fueled it.